One of the things that we love about Paleo smoothies is that they allow use to enjoy a creamy treat without imbibing in dairy. 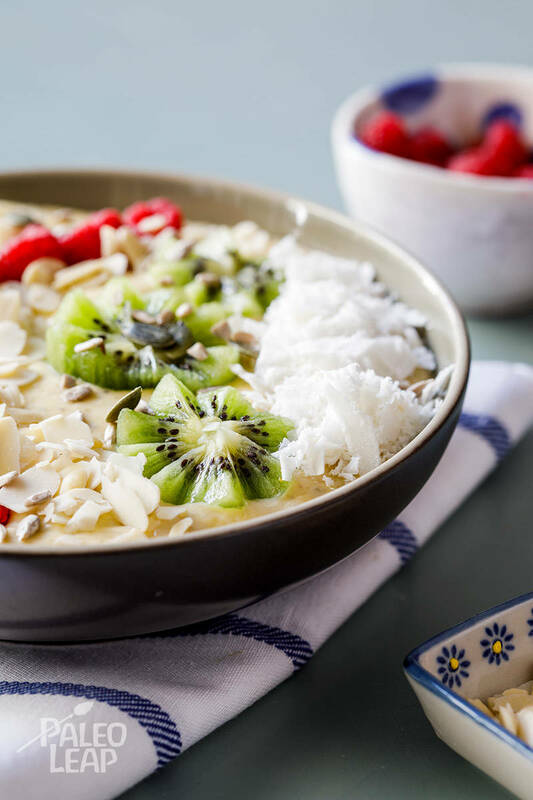 In this dish, you get to combine some of the yummiest fruits out there with the dairy substitute coconut milk. The end result is a sweet, tropical flavored smoothie that works perfectly for cooling down outside. While we think coconut milk is the best choice for this recipe, you can always substitute this out if you don’t care for it. This smoothie is a great way to introduce natural sweets into your life, especially if you or your family are making the transition from non-Paleo sweeteners. Despite the naturally sweet flavors of fruit, many kids have been exposed to overly-processed sweeteners in candies and other foods, making the fruit available in Paleo a little less palatable. Since this recipe is heavy on fruits, it might make it easier for a child to try and enjoy. If you are somewhat early in this transition yourself, cravings for sweets can be a real thing, and trying to ignore them can seem almost impossible. While you certainly shouldn’t be eating a fruit-filled smoothie every day of the week, this kind of dish is just fine in moderation, especially when your body is telling you to grab something with processed sugar in it. When that feeling rises, know you’ve got a recipe like this one to fall back on if needed! Combine the fruit, coconut milk, nuts, and seeds in a blender and blend until smooth. Add more coconut milk if the mixture is too thick. Pour the tropical smoothie into serving bowls and decorate with fresh fruits, nuts, and seeds of your choice.